A vigorous series of impatiens. It has a ball-shaped habit that looks fantastic in large containers but also makes for a great mass planting of color in landscape. One of the true “flower power” items for your garden all season long! From full sun to full shade, these Sunpatiens thrive everywhere. They tolerate the cooler spring all the way through hard frost offering one of the longest bloom seasons there is to be had. 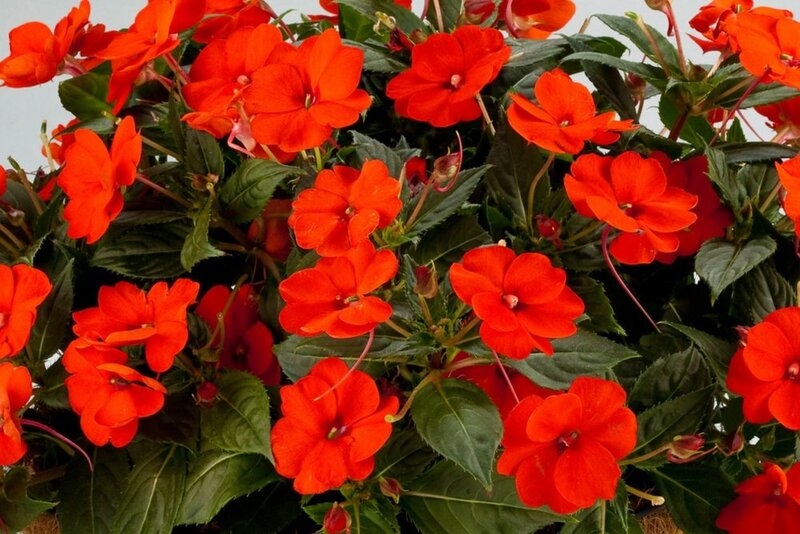 The SuperElfin Series is your traditional shade, impatiens series. It doesn’t require a lot of maintenance and makes for great mass planting in your shade gardens.